One of the many great features of IIS 8 is Remote Administration. It is not enabled by default but once configured this feature will allow you to maintain your web site using the IIS Manager gui without having to login to the server. IIS Remote Administration is also available with Windows Server 2008 and IIS 7. 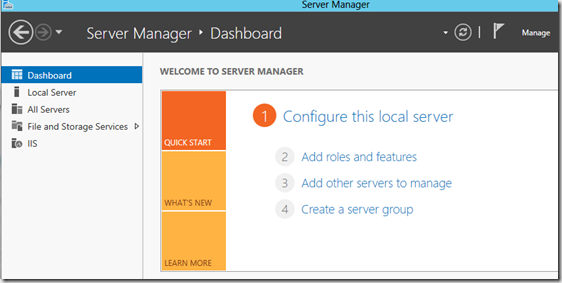 Windows Server 2012 and IIS 8 provides two methods to install the management service. The first method is to use Server Manager and and click on the Add Roles and Features Wizard. If you have ever done system administration, you probably have the problem where you connect to so many servers that you have no idea which computer you are connected to half the time. BGInfo is a great utility that lets you display useful system information right on the desktop. And it works for regular Windows users as well. You can create GPO and link the GPO to domain or OU containing all the computers.